Jordan Brand is making good on their promises for 2018, providing interesting and new releases while maintaining the exclusivity that made them so popular. 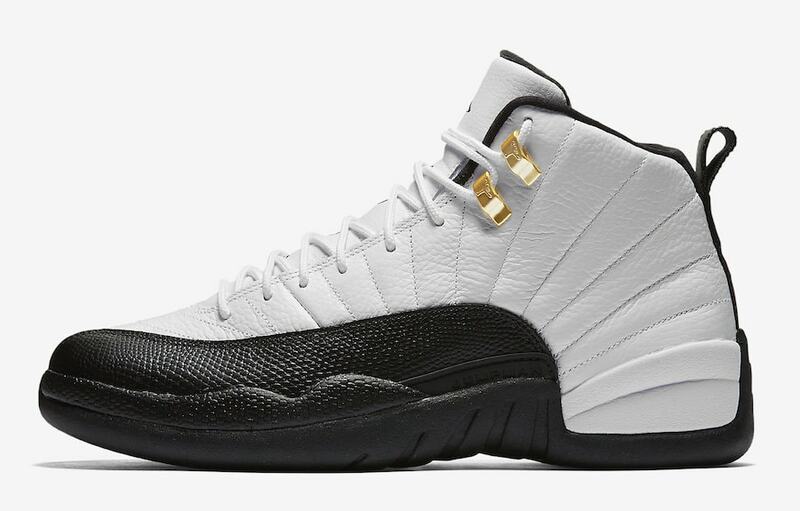 The next sneaker to be added to this list is the Air Jordan 12 “Taxi” releasing next month. 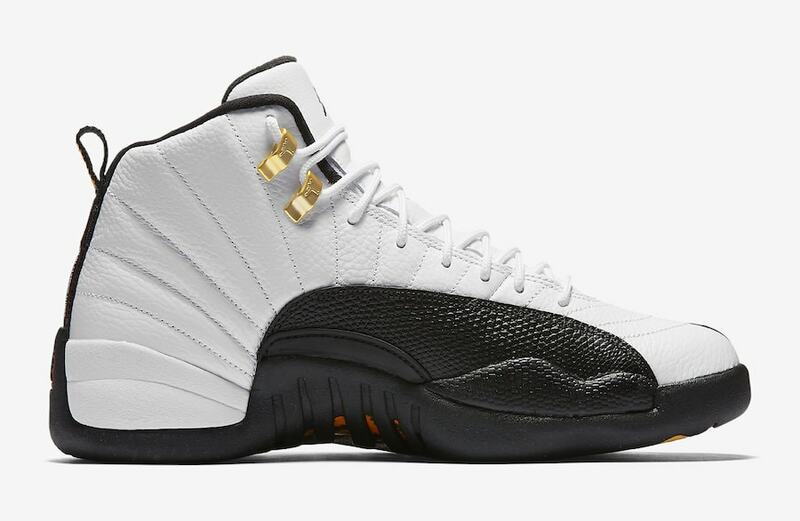 The Air Jordan 12 “Taxi” is among the most popular colorways of the famous silhouette. Having seen many iterations and a variety of materials, the shoe has been issued in all size ranges and in exclusive packs, last appearing at retailers in 2013. This year, the “Taxi” Jordan 12 returns in March, in all of its original 1996 glory. The tumbled leather upper on this pair takes on a crisp white color, contrasted by the black textured leather wrapping from the lateral midfoot around the toe. A similar piece, used for support, rests on the medial side of the shoe as well, though it does not extend all the way forward. 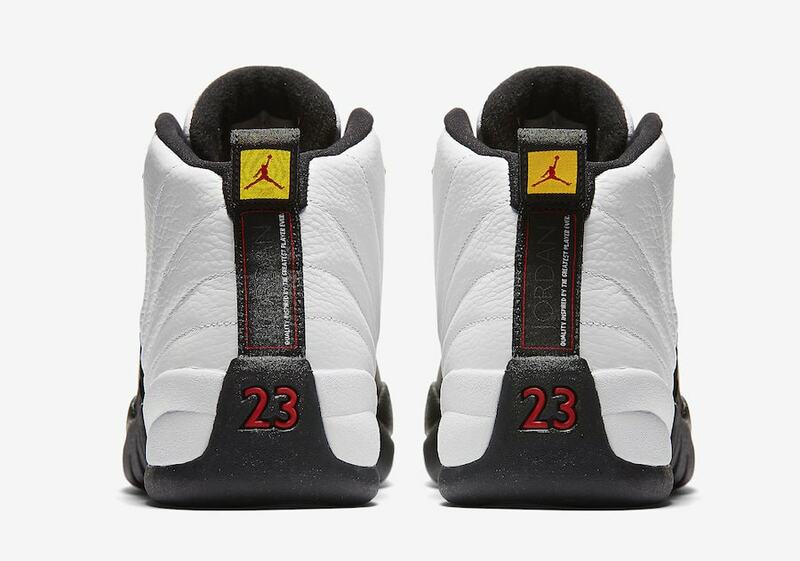 The interior lining of the shoe will also come in black, with a red Jumpman logo on the insole. 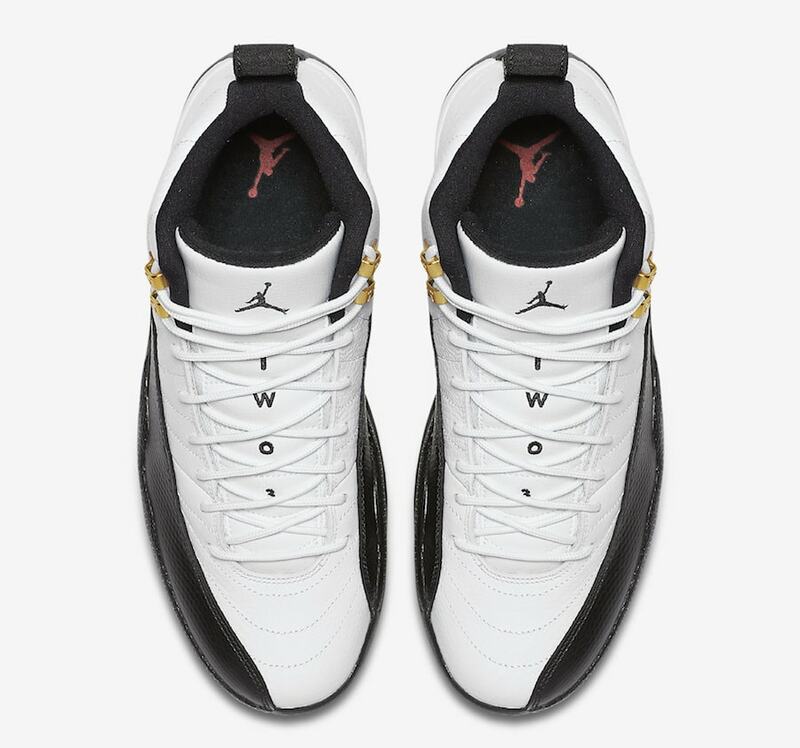 Extra details on the upper include the gold eyelets, and Jumpman 23 branding on the black pull tab. 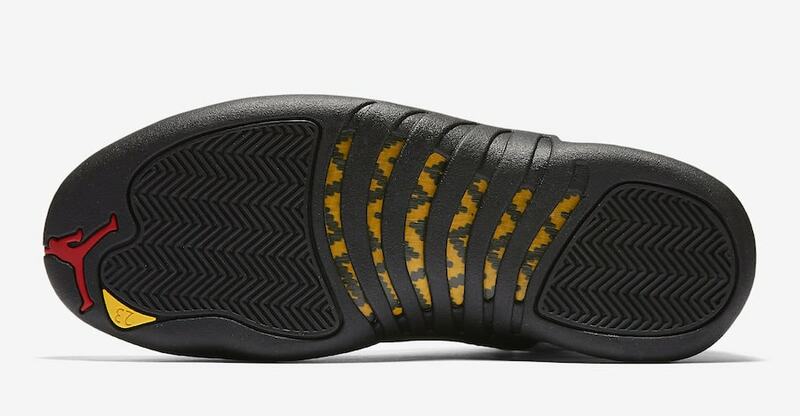 The midsole of the shoe comes dipped in black, with a yellow and black pattern on the carbon fiber plate resting underneath. 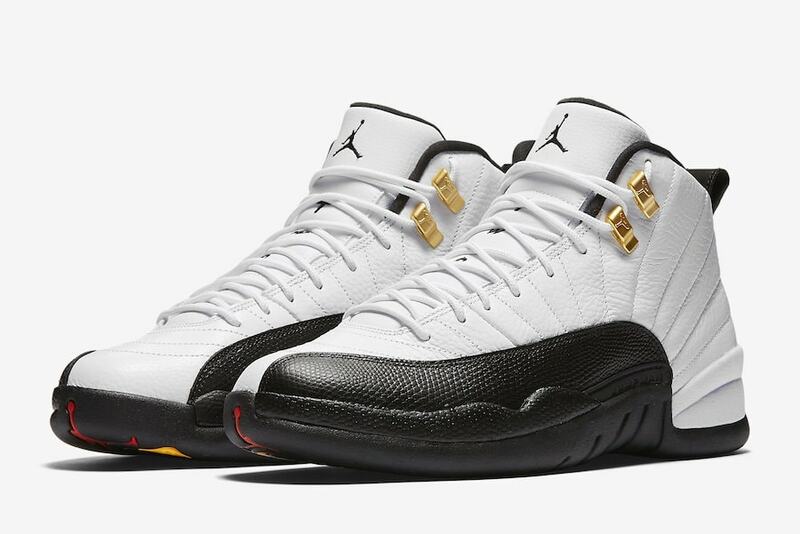 The latest Air Jordan 12 Taxi is expected to arrive at select Jordan Brand retailers on March 18th, for $190. 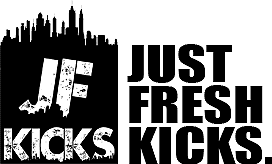 Check out the images below for an official look at the shoes, and stay tuned to JustFreshKicks for more Air Jordan news.